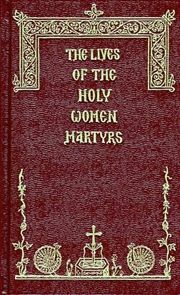 An Orthodox Martyrologion of Spiritual Heroines. Translated and Compiled from the Greek of The Great Synaxaristes of the Orthodox Church and other sources. Hardcover. 590 pgs.